Cats are just one animal that has an amazing homing ability. They have been known to travel miles to get back to their address! But what happens when the house they are travelling back to is no longer their home? How do you stop them from wandering away? Unlike other animals that have homing instincts the cats’ ability to find its way home has never really been studied. This means we do not understand how they accomplish this feat. Theories are out there, however, such as genetic predisposition. This implies that all cats have homing abilities, just some are better at it than others. This would account for the fact some cats may get lost being only a few miles away from home, whilst others can navigate many more. Geo-magnetic field sensitivity is another theory, but this time one that relies on a cat having the ability to keep a compass fix on their home. Again it is thought not all cats have the same level of ability in this, which accounts for the differences in mileage that various cats can travel. Whilst the homing instinct is a wonderful thing that enables your cat to find their way home from their travels, it can also be the cause of your cat becoming lost. 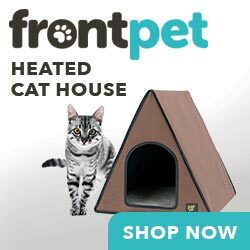 Many owners lose their cats due to moving house and not establishing this new abode to their cat. The chances are, no matter how good your cat was at returning home to your old address, they will not be as adept at the new one unless you help them. If you don’t aid them in this, you might just find yourself making the trip to your old address to collect your beloved cat on a regular basis! I thought the days were gone of recommending that you place butter on the paws of a cat to help them get established and find their way home. Apparently not! Advice such as this is still rampant on many websites. There is no evidence that butter on a cat’s paws will help deter them from straying back to their old home. It may be more likely to hinder them from making that all important connection with their new surroundings. They may be distracted from becoming accustomed to their new environment or even distressed by the process. There is always the chance that no matter what you do your cat will head for their old home. If this is the case you will want to prevent the possibility of losing your cat forever. Ensuring that your cat is wearing a secure collar with tag on is one way you can lessen the chance of them being gone forever. Have a telephone number engraved on the tag so anyone finding your cat can contact you. Mobile numbers are preferable as they tend not to change, and people are more reachable on them. Microchip identification implants are also recommended and not just for wandering cats. These can be used to identify stolen, injured or even dead pets. Remember to update the address and contact numbers if you have moved home. For your cats first few ventures outside restricting them to the garden is a good idea. This gives them the chance to get used to their new surroundings. It also allows you to perfect some recall tricks with them. Calling your cat, tapping on a can or shaking their biscuit containers are all good ways to let your cat know you want them to return inside. These sounds can be heard from quite a distance away, and if backed up with reward when they return, should have them come running. Once you have the recall and have waited two to three weeks, you can then, perhaps, let your cat out to wander freely. Start off letting them out when they are hungry. Cats are far more likely to return for the promise of food or treats if they are in this state. Increase the amount of time you let your cat out unsupervised slowly. Start with around ten minutes and then build it up in ten-minute increments. This will help them get to know their area well without letting them go too far and becoming lost. Jayson Murphy is a pet lover and blogger at Pet Wellness Advisor, a site devoted to helping pet owners keep their dogs and cats happy and healthy!